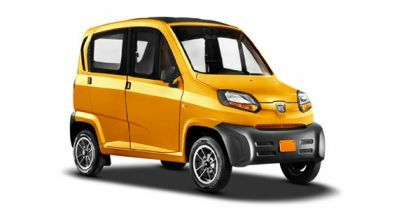 Bajaj Qute (RE60) price in Delhi starts from Rs. 2.48 lakh (Ex-showroom). Qute (RE60) is available in only 2 variant. Bajaj Qute (RE60)'s top competitors are Maruti Alto 800 (price starting at Rs. 2.94 lakh in Delhi) and Tata Nano (price starting at Rs. 2.36 lakh in Delhi).